On 12th July, 2014, ketu is also transiting to Pisces zodiac sign. As you know that rahu also transiting to virgo sign on same day, its too complex moment and important too in terms of astrology. Ketu will be there in Pisces for next 18 months. Below are the effects on all zodiac signs on moon sign based. Check out the below remedy and predictions. Aries: - There is chance of foreign trips in these 18 months. Some major expenses are coming on your way; also you may be involved in unnecessary activities. You may face some financial troubles, skin related problems, change of accidents can also see. Taurus: - Ketu will be in 11th house of Taurus, and it is always favorable to Taurus (Ketu). You will rock on each and every field, success will touch your feet, and your power will increase. These 18 months are best for businessmen. Your confidence will boost, you will come to contact in new rich people who will bring you to another heights. You are going to make good money. Gemini: - if you are in politics or religion, it’s a best time for you. You will get high position; your financial condition will improve. You will get more fame and success in society and social circle. You may buy new property with help of father or family members. Your opponent has to face defeat from you this time. 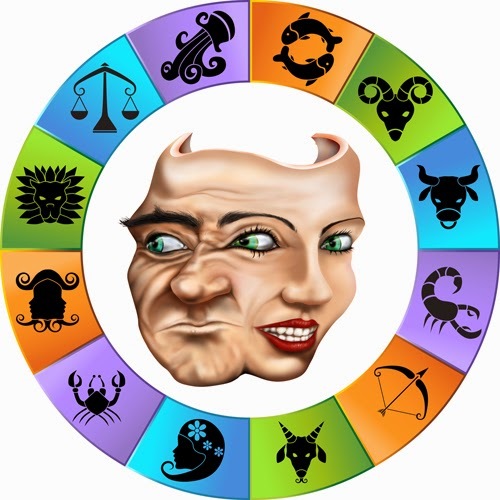 Cancer: - It wil bring mixed results for you, you may get excellent results. You may buy new vehicles or property. If you are fighting for any legal case then it will be in your favor. On the other hand, you may have to face defamation, some situation will arise which will harm your image. You may have to face any major conspiracy. Do not invest in share market or commodity market, chance of big loss. Leo:- Its time for you to become more alert and careful. Because sun whos enemy is KETU and leo sign is related to sun. So, you may face some complex situations, problems may increase in your life, chance of financial loss, and chance of accidents too. Theft problem may has to face (car, money or jewellery). Virgo:- There may be situation of extreme sorrow and conflicts in your life during this 18 months. Ladies need to take extra care for their health problems. Especially Pregnant ladies as they may face problems of progeny related problems. If you are single and eligible for marriage, get ready for your marriage. Libra:- New things are going to start in your life, as you know venus is lord of libra sign and with yoga of ketu, transiting in 6th house, it will be extremely auspicious for libra people. If you are fighting any legal case, it will come to your favor, you will make strong connection with new people. You will get more glory and fame with success. You are going to get more and more wealth and more journeys for you in this time. Scorpio:- This transit will make mixed results for you. You will make new contacts and your value in society and in social circle will increase. Your financial status will improve; you will make some good and fast decision. But if you are pregnant lady then you need to take care of yourself. Students have to face some problem in their exam results. Sagittarius:- you will face some time wasting things in your life. You will be feared of nothing, you will get distracted from your goal and work. You will feel boring in your life and you need to take extra care for marital life. There are chances of accident so take care while driving. If you are boss then your employee will be extra smart, take care of it. You may face some heart related problems and other health issues too. Capricorn:- This is best time for you, your confidence will be improved, you will get more glory and fame in your life. You will get promotion in jobs; your financial status will improve. You will find some more financial source for income. If you are politician then you will get more fame, your efforts will be appreciated. Relations will strengthen with siblings and relatives. Aquarius:- you will be tensed a bit more, you should take extra care for relation with family members. You may face loss in business, your income may be reduced, do take care while you speak, you should take care of your health in this time. Overall, time will test your communication, patience, and courage. Pisces:- you will feel more energy, you will do your work more effectively. Your work will be honored, you will get new work. There may be some good moments in your home, in short Ketu will prove to be extremely beneficial for Pisceans. Do chant 'Om Kem Ketave Namah': this Mantra 17000 times on Wednesday. Worship Lord ganesha as much as possible, Donate black sesame seeds (Til), black cloth, 7 types of grains, Urad, mustard or sesame oil, iron or steel utensils on every Wednesday and Saturday. These remedies will yield best results, if performed a week before Ketu transit.